Birthday week continues here at Hawthorn and Main. 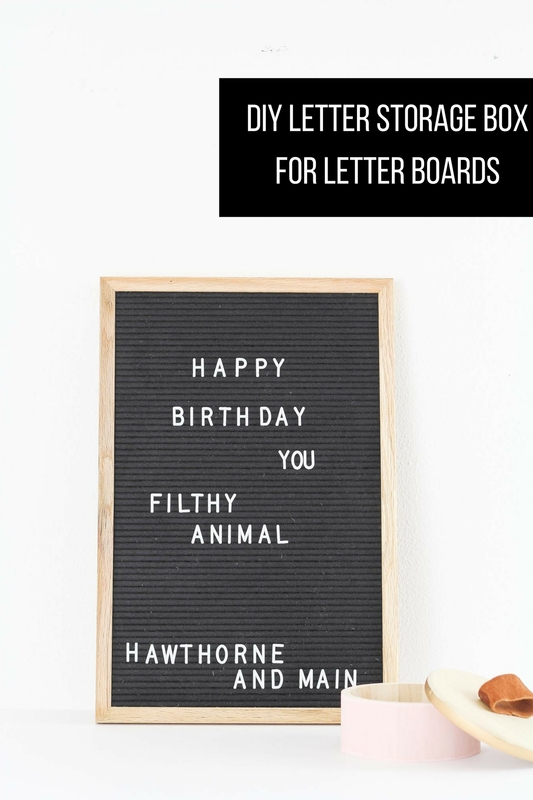 Hawthorne and Main decided that this year she needed to get something a little extra special to celebrate…aka me 🙂 What better way than to splurge on a letter board….right !? 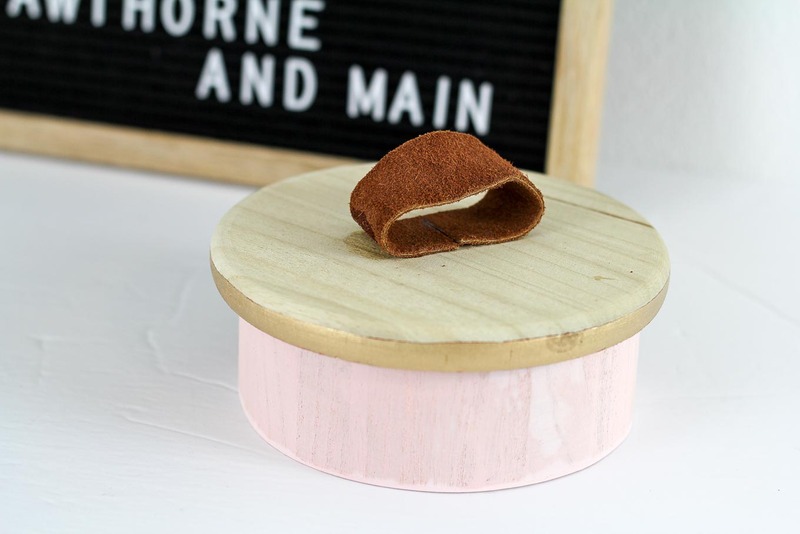 They are so popular right now and it has been fun to create silly phrases and quotes on it. One of the first things that I noticed once I started to use it was that the letters for the board were being scattered… Not a good thing when there are little hands around the house that like to put stuff in their mouths. I decided to make a storage box for the letters and why settle on a plain ol’ box….I had to make it pretty. 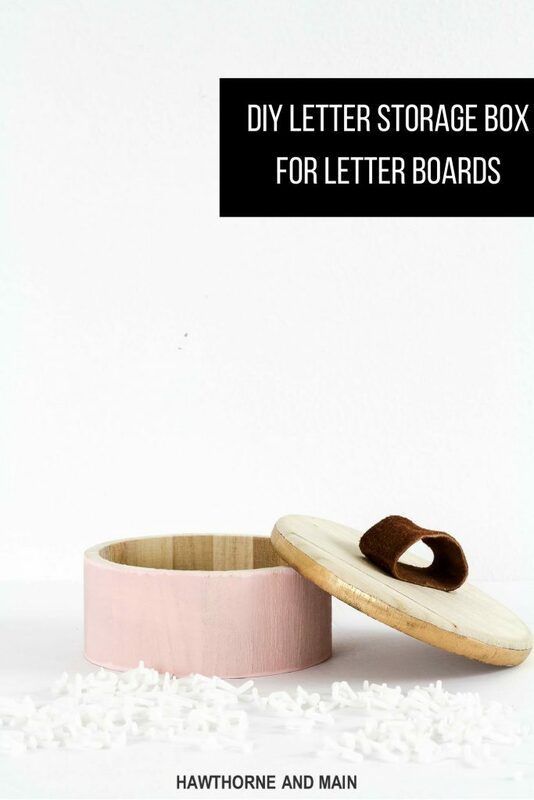 Here is my DIY letter storage box for letter boards. 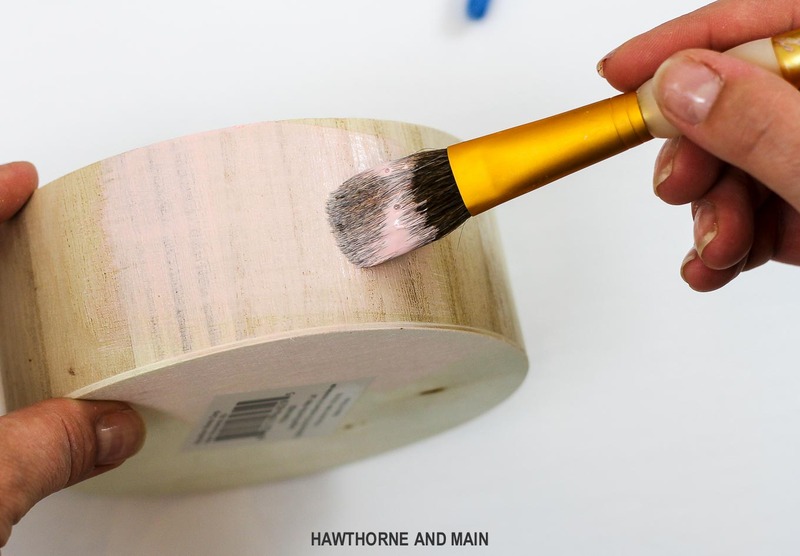 Begin by painting the base of the box with paint. Add as many coats as you need until it is covered as much as you like. Be sure the paint dries between coats. 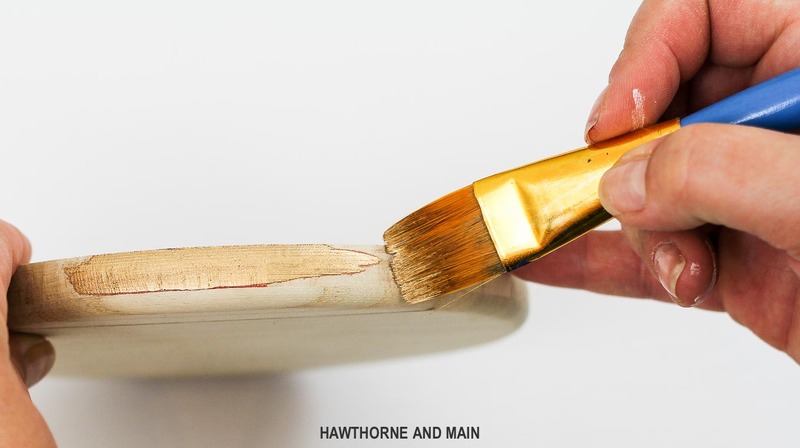 Using a different paint brush, paint on the liquid gold leaf to just the edge of the lid. Follow the directions on the package. This stuff is quite smelly, it’s recommended to be in a well ventilated area while painting. 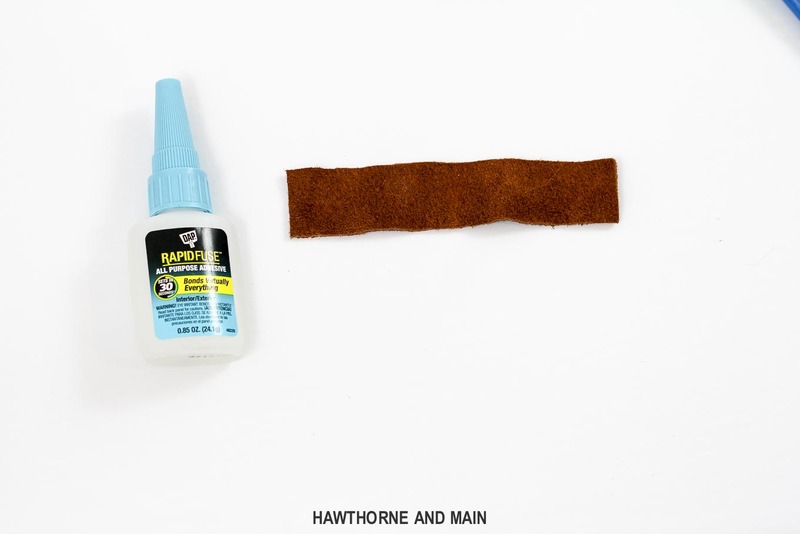 After all the paint is dry, cut a small piece of leather. This one is about 5 inches by 1 inch. 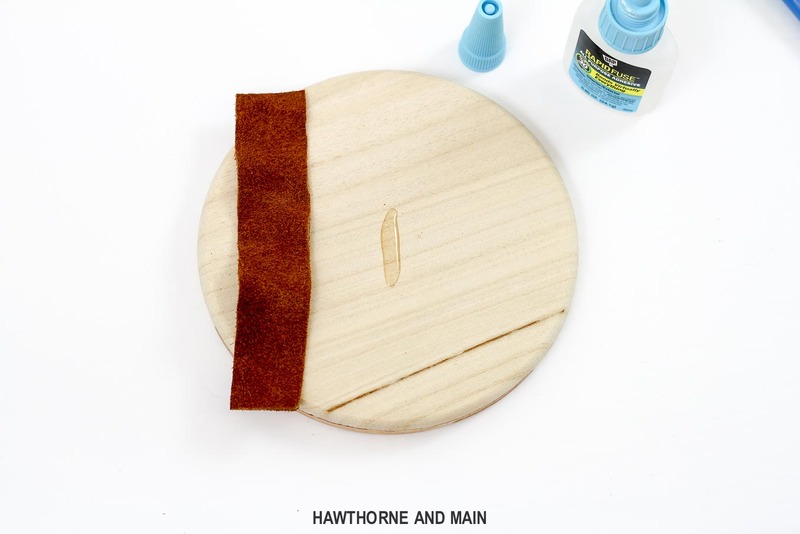 Apply a small amount of glue to the top of the lid. Apply the leather. See the image below. Press the leather firmly for about 30 seconds for it to set. 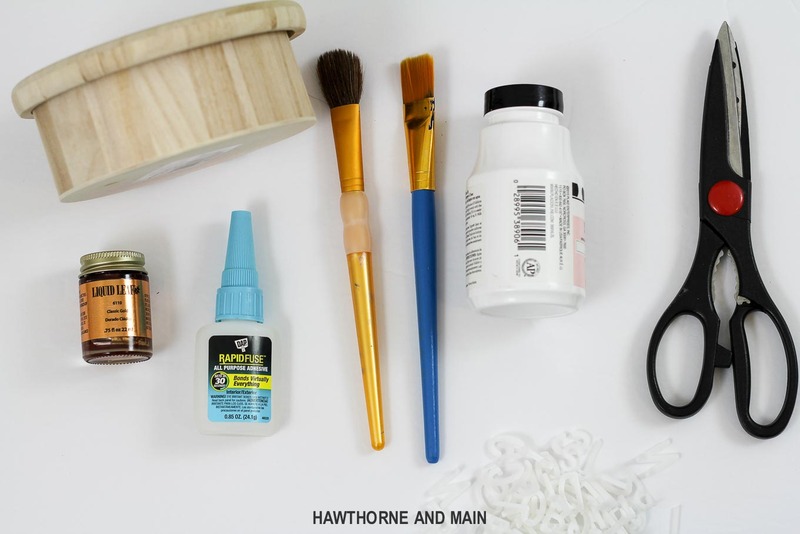 Set the lid aside while the glue completely hardens. 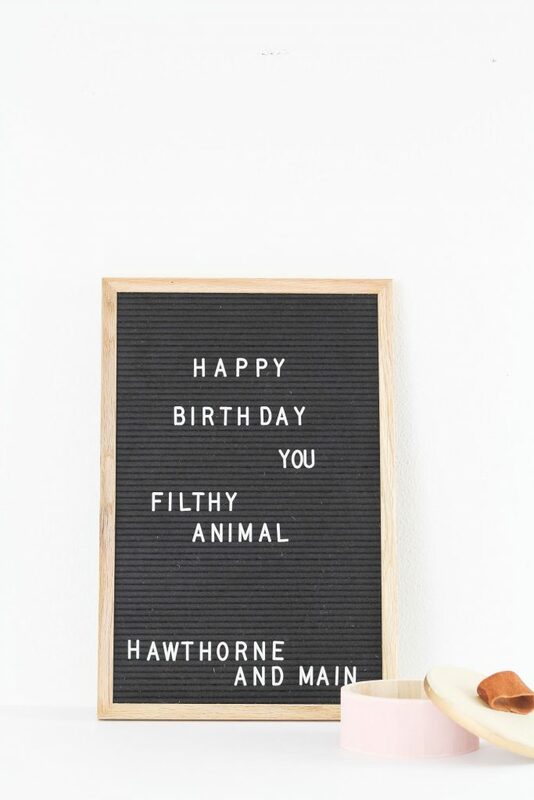 OK I am dying to know….Who got the quote reference that I put on the letter board?? I like your little box idea. Very cute! Is the quote from the movie “Home Alone”??? Just two words simple and unique.